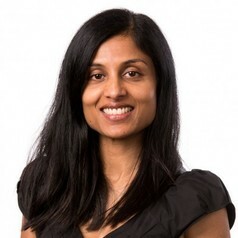 Dr Irani Thevarajan is an infectious disease physician and is active as a Senior Staff Specialist at the Victorian Infectious Diseases Service and as an Honorary Fellow at the Nossal Institute for Global Health. Irani is involved in multiple research activities in the areas of dengue, travel medicine and Antimicrobial Stewardship. Irani has a wide range of clinical and research expertise in infectious diseases including in dengue, arboviral infections and influenza. She has an active teaching and organisation role in the local Diploma of Tropical Medicine and Hygiene Course that is coordinated by the University of Melbourne, the Burnet Institute and the Faculty of Tropical Medicine at Mahidol University, Thailand. In addition, as part of Antimicrobial Stewardship, Irani engages in regular quality assurance audits and research programs in specialised patient groups such as those in the Intensive Care Unit and the Haematology Bone Marrow Transplant Unit at the Royal Melbourne Hospital.